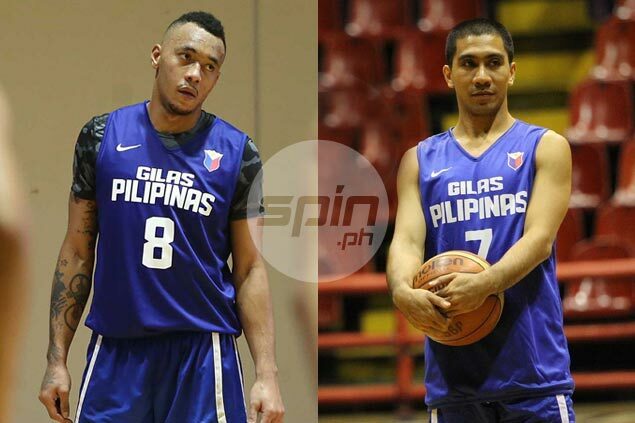 Calvin Abueva and LA Tenorio are out of the Gilas lineup to the Olympic qualifier. CALVIN Abueva and LA Tenorio were named the final two cuts in the Gilas Pilipinas team to the Olympic Qualifying Tournament, stunning fans who felt the two were shoo-ins to the 12-man lineup. Abueva was one of the revelations in the Gilas team that finished second to China in the last Fiba Asia Championship in Changsha, China and was considered indispensable for the squad to the Manila qualifier. So was Tenorio, a hero of the Gilas side that finished second to Iran in the 2013 Fiba Asia in Manila. He was also the lone legitimate point guard in the 14-man pool. The stunning decisions left Andray Blatche, Jayson Castro, June Mar Fajardo, Gabe Norwood, Ranidel De Ocampo, Japeth Aguilar, Marc Pingris, Terrence Romeo, Ryan Reyes, Troy Rosario, Jeff Chan and Ray Parks in the team that will take on France and New Zealand in the preliminaries of the July 5-10 qualifiers at the Mall of Asia Arena. From the pool, Rosario and Reyes were considered the most logical choices to be dropped but gave a good account of themselves in the Gilas buildup for the Olympic qualifiers.